The socalled Altarstein (altar stone) made from Diorite, length about 3m with saw cuts made with a blade at maximum thickness of 2mm. 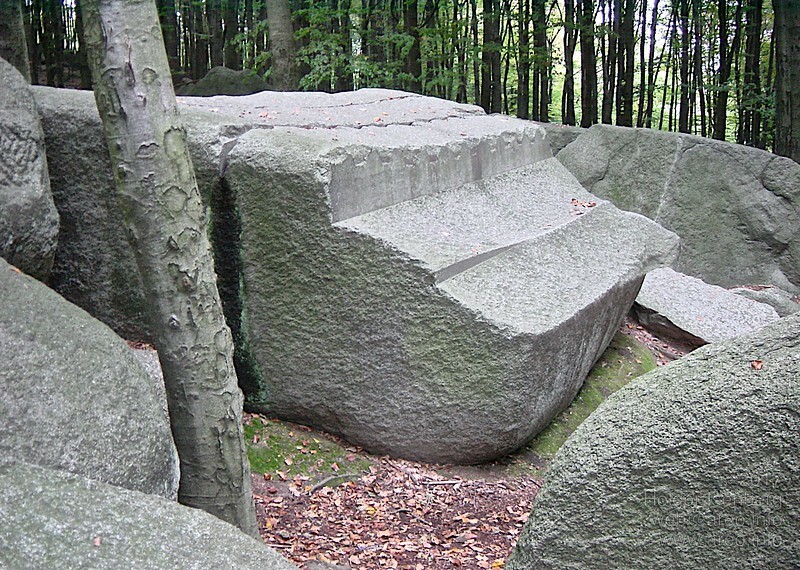 In my opinion, all the work on the Felsberg have been done at a time when the granite was "new" and not completely hardened yet, in a state like wet clay. I know, that this contradicts the classic theory about granite formation, but I don't see any other reasonable logical explanation so far.